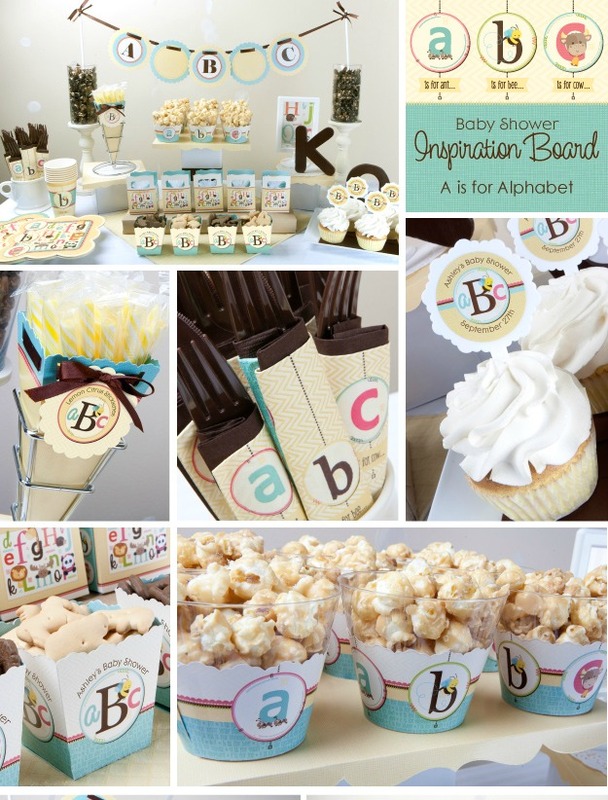 Whether you're throwing a boy, girl or gender neutral baby shower, Alphabet is a perfect choice. 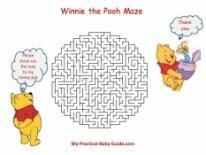 Please find invitations, decorations, gifts, game ideas and free printables for your personal use. 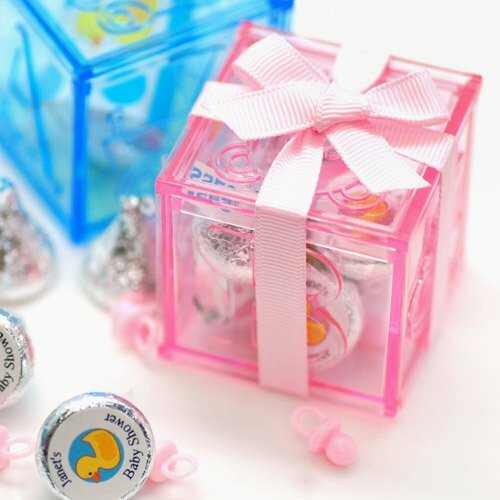 I found these pink and blue building blocks baby shower invitations that you can buy online, they are well designed and beautiful. 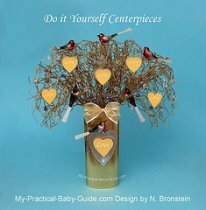 Scroll down to see what I have found for you and if you like it just click on the photos to buy. 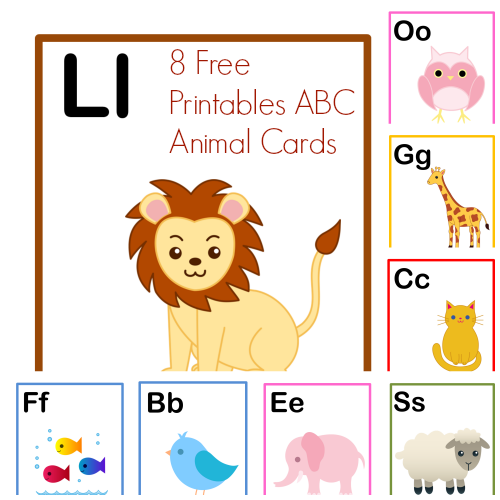 Start by hanging ABC Animal Cards (See details below). Buy some kraft letters, paint them and hang them on your wall. 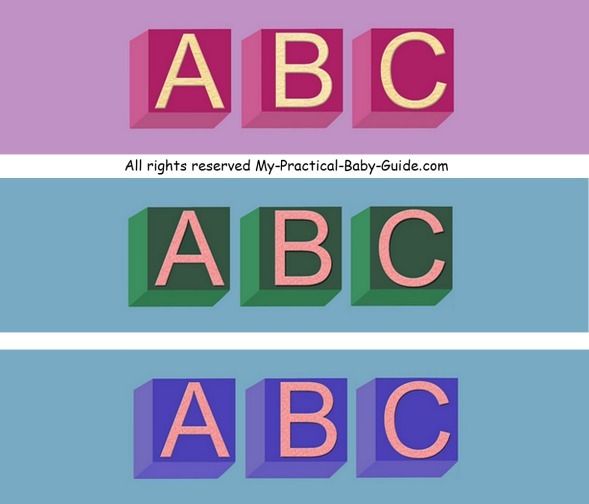 Place some ABC building blocks on the table. 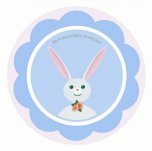 Use our printables to decorate your foods and bottles, these printables are free for your personal use. 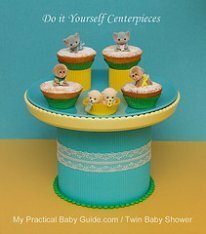 A diaper cake or a baby shower cake would be a great centerpiece for your table. 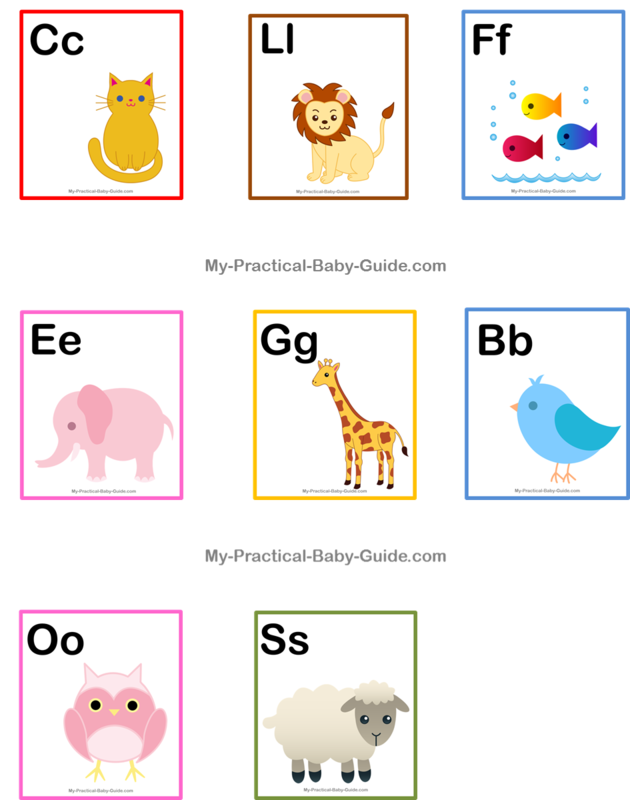 We created horizontal ABC Animal Cards that you can use freely for your own personal use. Print on a card stock. Cut out the squares (7"*6"). Hang these cards on a clothesline with clothespins. This table was designed in shades of teal, coral and yellow. Would you like to have this candy buffet? 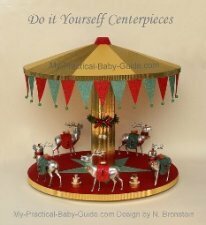 This diaper cake would be a perfect centerpiece and a beautiful gift for the new baby. Dress up cupcakes with toppers to match your theme. 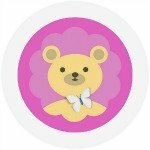 Use our free ABC Animal Cards baby shower printable toppers to decorate your cupcakes. Dress up water bottles with labels to match the Alphabet Baby Shower theme. 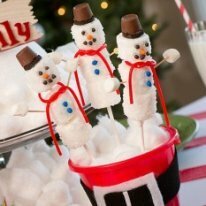 This adds just a little bit of fun to boring water bottles and helps to tie the entire theme together. 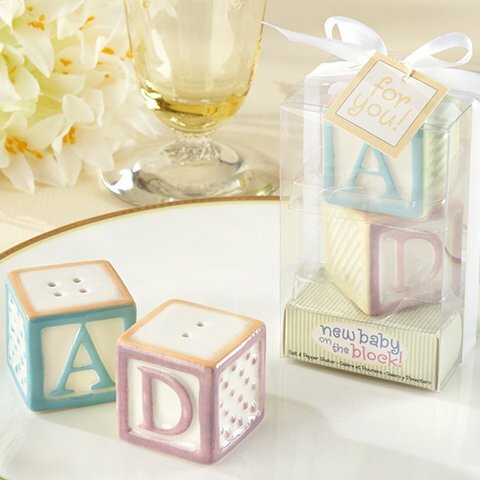 Use our free ABC baby shower labels to decorate your bottles. Let the world know that there is a "New Baby on the Block" ! 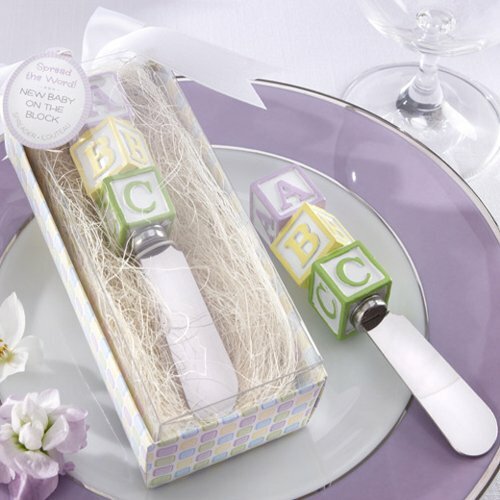 Below you will find our suggestions for baby shower favors. 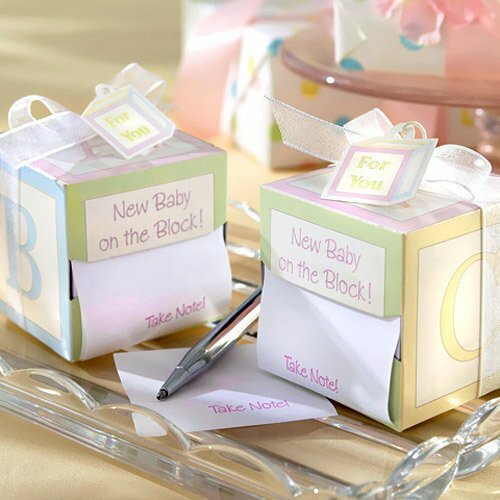 Plastic baby block favor boxes. 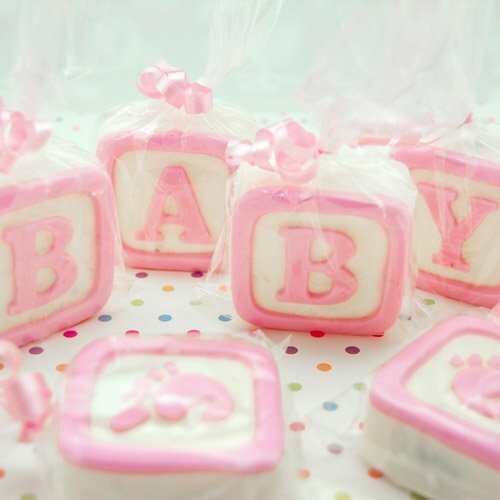 Baby blocks white chocolate covered Oreo cookies. Baby block salt and pepper. 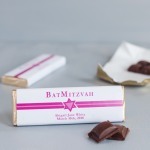 Personalized baby blocks chocolate bars. 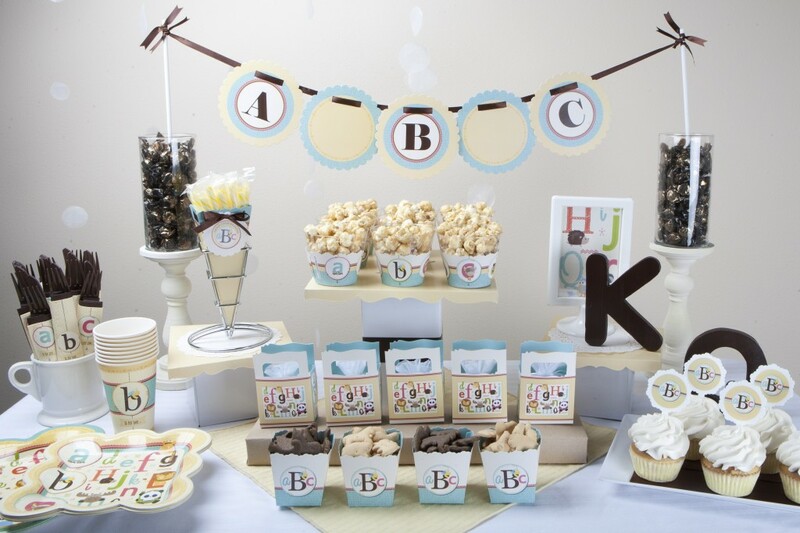 Here are some printable baby shower games made especially for the Alphabet baby shower. You can use them freely. Give each of your guests a pencil and a copy of this game. 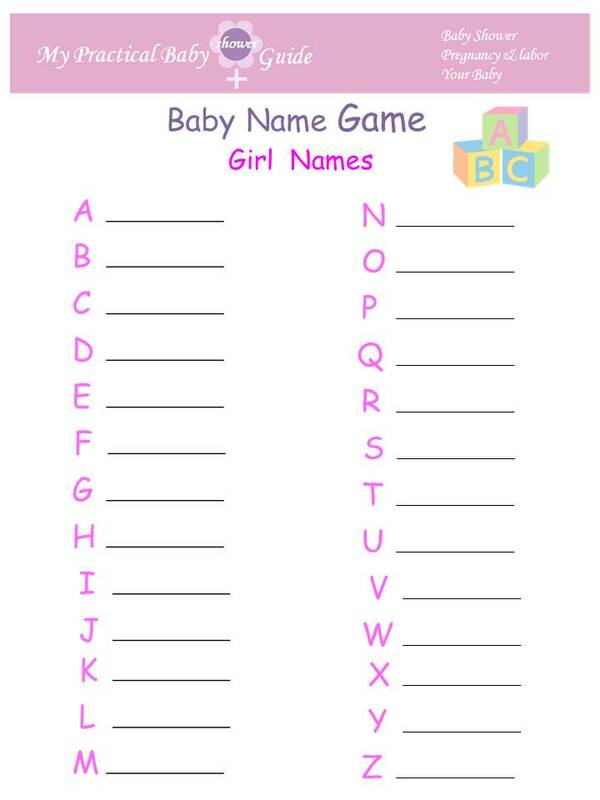 Set the duration of the game and ask them to write a Baby Name against each letter of the alphabet. 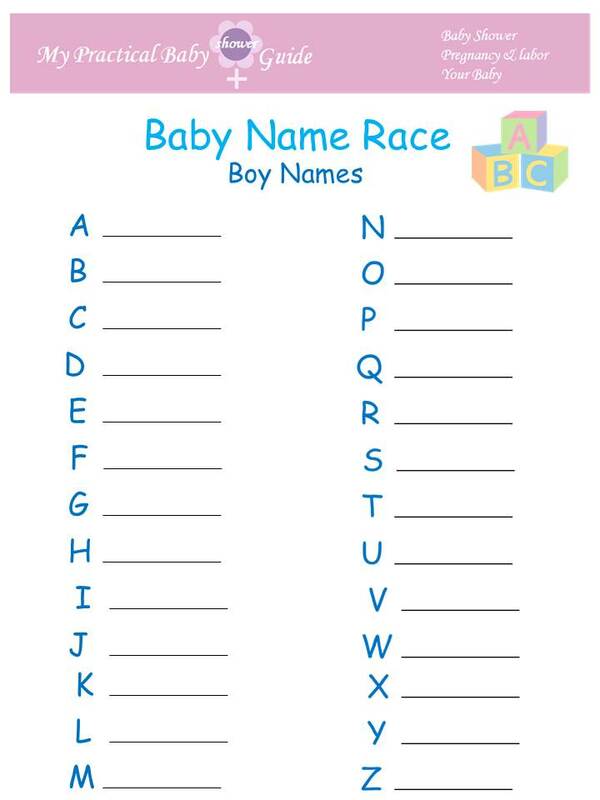 The guest who writes the most of the names for each of the letters wins a baby shower prize. 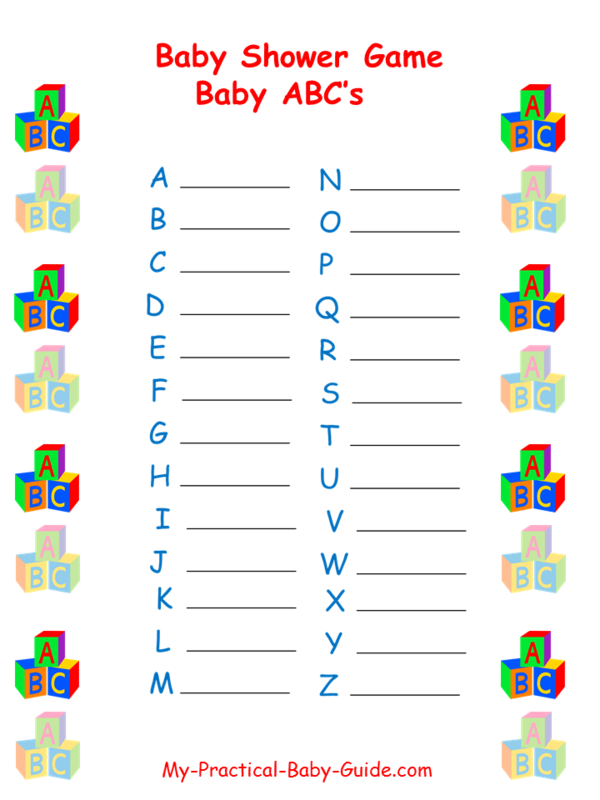 Ask your guests to write one baby related word in alphabetical order. For example: A: apron, B:bottle,C:crib, etc. The guest who finds most of the baby related words will win a prize.